Looking for something to tote your beach gear around with? This bike is perfect for you! 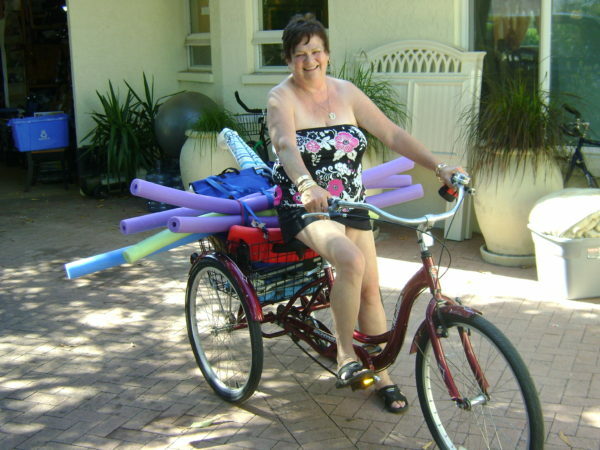 Our adult tricycles are easy to use and features lots of space. Our trikes have a stylish low step- through frame, a padded cruiser style and dependable front and rear brakes. Fork: Front hub width standard 10 MM over lock nut; 3.5 inch clearance. Width, upright handlebar with alloy system to eliminate back strain.